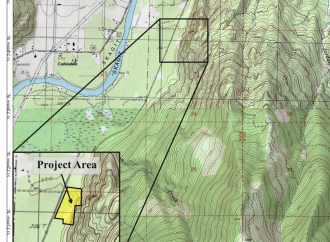 Kiewit Infrastructure Company of Vancouver, WA, has applied for a special use permit to develop and operate a large scale quarry mining operation near Marblemount. 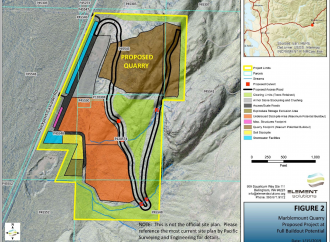 The venture is being described as an “expansion” of an old existing quarry business. As Jose Vila explains in the following letter, this appears to be deliberately misleading. 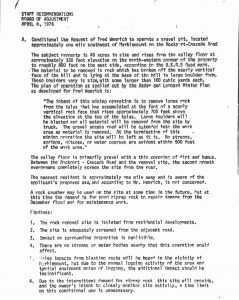 I think that Kiewit came up with this description in an attempt to frame their request as reasonable and just an incremental extension of an already permitted use. But we know that this is not true. This seems to be a strategy on Kiewit’s part to mislead and throw people off. Kind of a “don’t look here, there is nothing to see” approach. 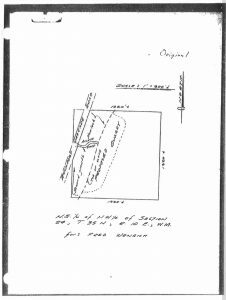 •The existing talus quarry was granted conditional use in 1976 for small amounts of locally used riprap and crushed rock on a very small strictly ground level footprint with no springs, streams, ditches, or watercourses within 500 feet of the work area and the nearest resident one mile away. 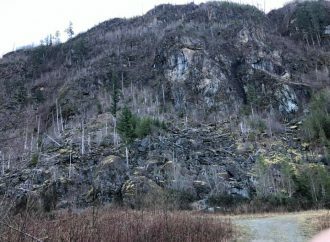 The quarry has been worked to the extent of its use area and the material permitted for removal has been depleted. 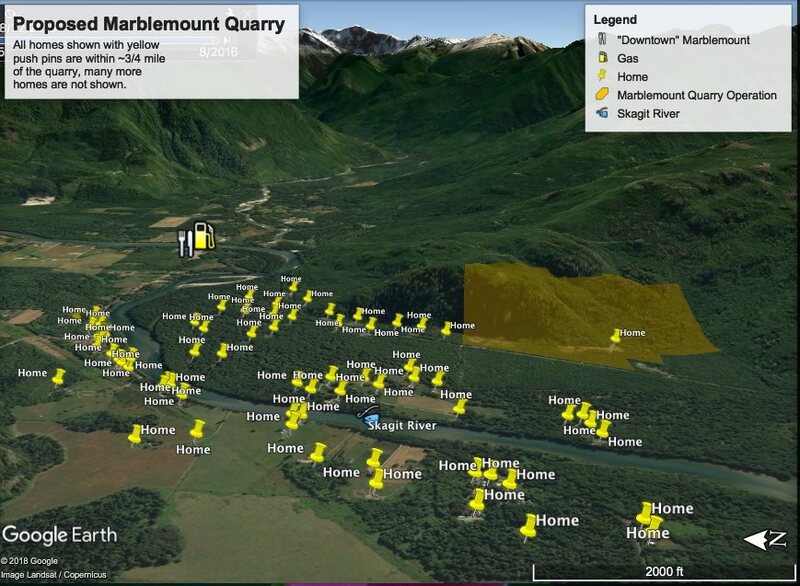 In accordance with the conditional use, mining operations have terminated, and the site is to be left as it is. 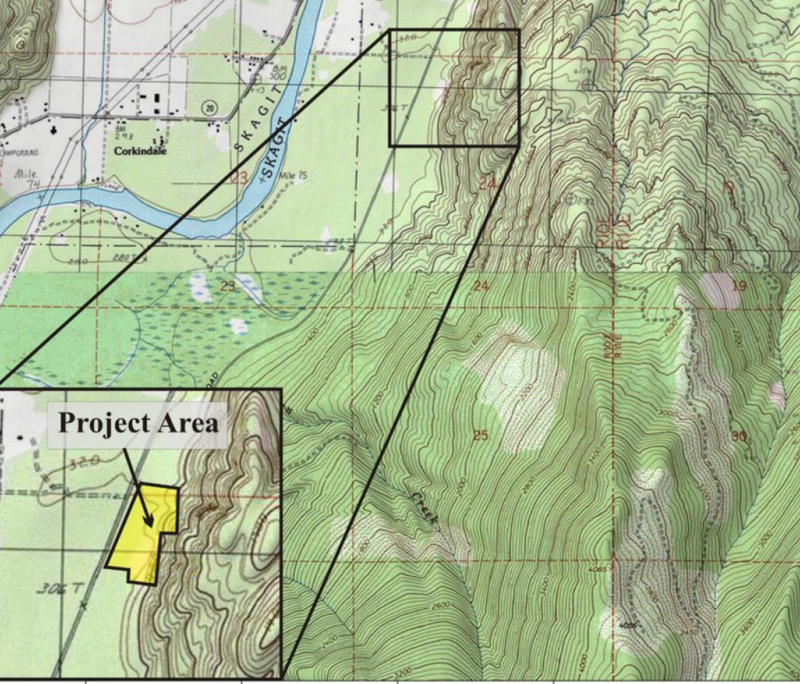 •Kiewit’s application is for a quarry in a new unpermitted location on the property, with access and operations requiring purchase and incorporation of additional unpermitted properties, requiring construction of an over one mile road across streams, ditches, and watercourses to reach the top of the 700 foot mountain, clear cutting of 600 acres and 2.7 million board feet of timber to fund the new road, removal with high explosives of 3.8 million cubic yards of bedrock, all new and expansive quarrying infrastructure, logistics and methods, exponentially larger scale of operation and amount of material to be extracted, exponentially larger on-road and off-road trucking volumes, and correspondingly, an exponentially larger impact on all the residences, businesses, waterways, wildlife, and all the unique attractions that have made this valley famous and beloved for so many uses by so many people. 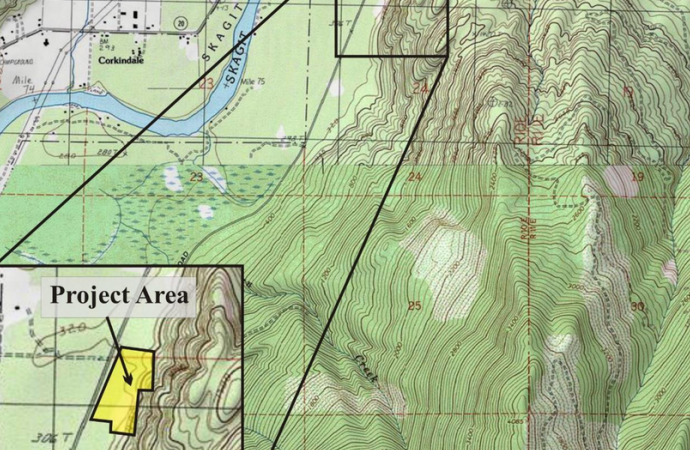 Now there are probably 100 residents within one mile away. To put it simply and clearly, there is no similarity or continuity between the terminated use and the use requested in Kiewit’s application. There is also no similarity between the neighborhood of 1976 and the neighborhood of 2019. 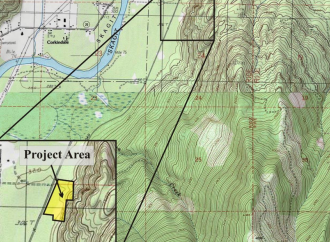 For this reason we feel that the county (or Kiewit) needs to fix the completely erroneous and misleading description on their website to reflect the true nature of this application as a part of the reposting so as not to mislead or misinform the Citizens or elected officials of Skagit County. 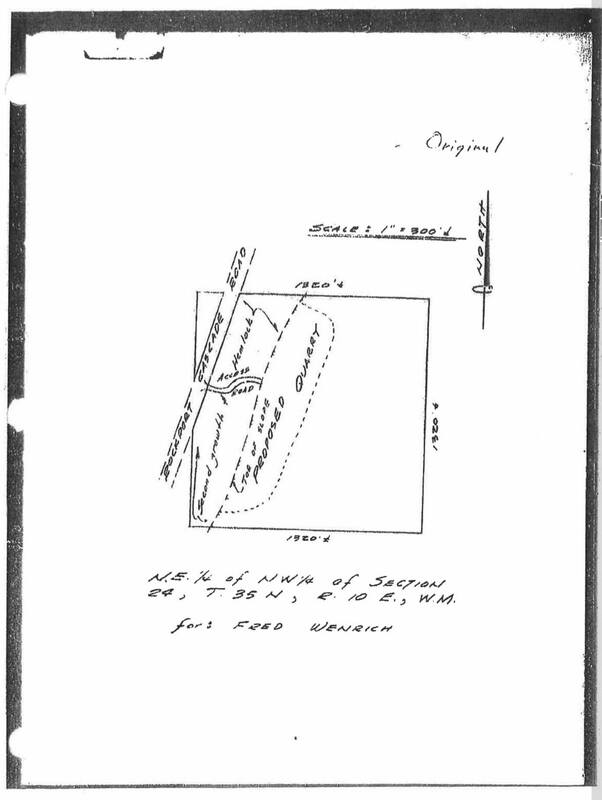 Here are two documents Jose has provided relating to the old gravel pit permit: (Click on images to enlarge them). Indeed! 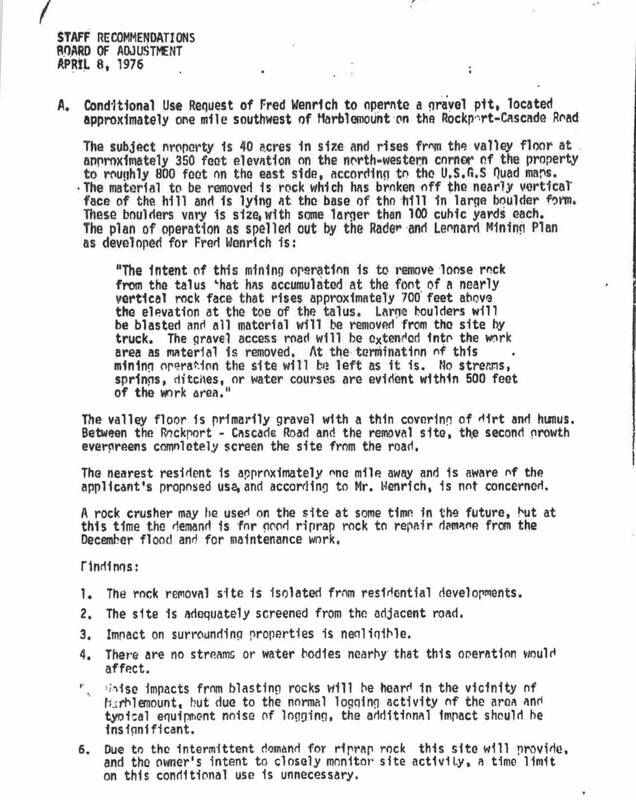 In fact, if you look carefully at the 1976 original permit letter, it is defined as a GRAVEL PIT, not a quarry at all. Big difference! I think that will be an important, if not critical, differentiation in future dealings with the county’s permitting rules and regs.